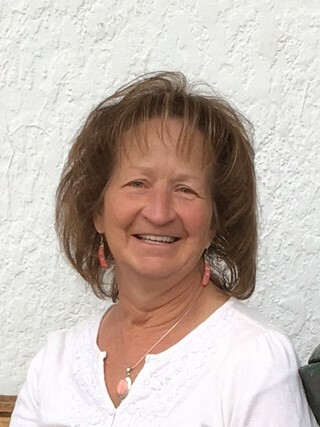 Our dear sweet mother, grandmother, sister, and friend, Jolene Marriott Hansen, 61, of Alta, WY, passed away June 6th, 2018 when her heart gave out due to complications of diabetes. She was born Feb 14th, 1957 in Ogden, UT to Gilbert and Kathleen Marriott. She grew up in North Ogden and graduated from Weber High School. She moved to Alta, Wy and had 5 children and now has 16 grandchildren. She was an amazing grandmother! She loved to play and do crafts with them. She also loved to brag about them to anyone who would listen. Jolene was known for her laugh which will be greatly missed. Jolene loved being in nature with friends and family. She biked across Wyoming, rode four wheelers all over the mountains, spent time at the beach, and many other outdoor adventures. To her, there was no more peaceful sound than the sound of running water. She was a devoted member of the Church of Jesus Christ of Latter Day Saints. She became an avid genealogist spending hours at the center going home late at night. More than anything she loved spending time with her family and wanted to be a part of everything. She is survived by her children Matt (Felicity), Jeremy (Misty), Blake (Alisha), Cory, and Jessica (Nick) Smith, her 16 grandchildren, and her 4 siblings Lynn (Bill) Duncan, JerylDean Clark, LuAnn (Mark) Jenkins, and Steve (Tricia) Marriott. She was proceeded in death are her parents. The funeral will be held June 16th, 2018 at the Driggs LDS stake center at 11am. Viewings will be held Friday, June 15th, 2018 from 6:30-8:00pm and prior to the funeral service from 930-10:45.